A new bakery has opened up shop in the neighborhood. 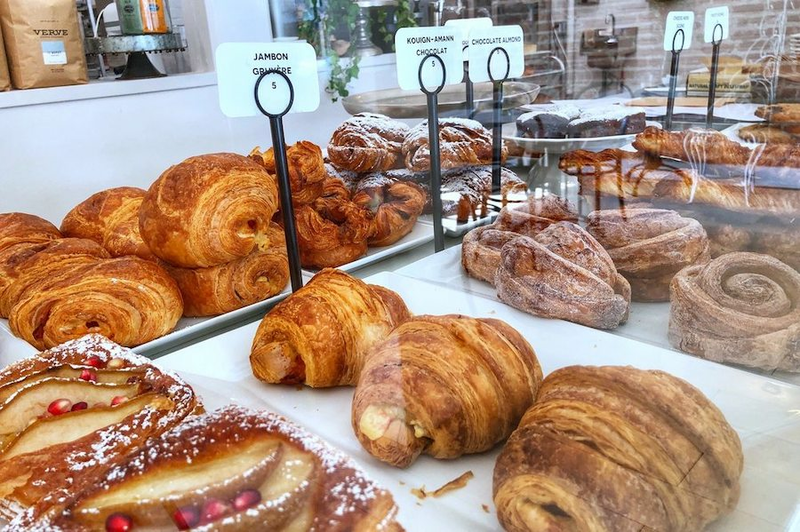 Located at 1138 Sutter St. (between Polk and Larkin streets) in Polk Gulch, the new arrival is called Le Marais Bakery. It's the third outlet for the locally-based Parisian-style cafe, which serves pastries, croissants and other baked specialties. There's also a full menu of classic French dishes, from the croquet madame to a duck confit salad, plus a number of North Africa-tinged options. There's coffee and tea, as well as a concise list of wine, beer and cocktail choices. The new bakery has gotten solid reviews thus far, with a 3.5-star rating out of four reviews on Yelp. Audrey S., who was among the first Yelpers to review the new spot on Nov. 9, wrote, "This place is definitely high-end, so bring enough money. ... I had a savory scone, which was good, but I wish I had it with butter and some jam. I also had a big round cinnamon roll, and some crunchy pastry with cream and berries on it, which was amazing." And Hosie T. wrote, "It's a working bakery, so you see right into the open kitchen and can observe the bakers/cooks at work. It lets you know that the pastries you're about to experience are fresh." The bakery is open daily from 7 a.m.-2:30 p.m., while the bistro is set to open in early 2019.